Don’t let the changing seasons keep you from your exercise goals! Everyone knows moving more is better for you. It’s better for you physically, mentally, socially… there really isn’t a downside to exercise! Don’t let bad weather keep you from your routine! Boston PainCare may have put the “FUN” back into Functional Activity with our FAST Track Program, but we are serious about supporting you to achieve your goals. Below are some of the many resources to keep you on the FAST Track. Ten Keys to Happier Living — Follow along with us this summer as we explore a different method each week to increase your happiness! S*M*A*R*T Goals Work Sheet –A great worksheet to hang on your fridge, your bathroom mirror, or your workspace… wherever you will see it on a daily basis. These are your goals. Work S*M*A*R*T-er not harder to accomplish them! 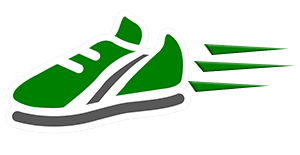 Personal Walking Goals Work Sheet –Another one to hang on your fridge to remind yourself to get out and move and what your walking goals are! Join Me – Use this to enlist a friend to exercise with you! The more the merrier, and having a partner helps keep you from skipping a day. Patient Apps — Click here to download a list of apps for your smartphone (both Apple and Android) to help you to achieve your goals whether they be meditation, weight loss, or fitness. Music Handout | Help us Create Patient Playlists! — Learn about the healing power of music and help us help you create customized playlists for our Spotify account. Spotify Playlists — Whether you want to cool down after a FAST Track Workshop or relax at the end of the day, we’ve got a playlist for you!